Most people consider their fragrance products as their favorite household product. That is why you will find many people selling fragrance products and perfumes online. A fragrance business can consist of perfume of course, however you can also include products that will blend well with fragrances, such as makeup and bath and health products. Buyers that shop for fragrance are also usually interested in beauty and health related products. Search for a few exclusive online fragrance suppliers: These companies should provide dropship services and give you good wholesale prices. Ideally they should also have the ability to provide you with their product images and descriptions so you can accurately advertise their products. Choose popular designer fragrances: As mentioned above, you can find tons of designer fragrance products from reputable dropshippers. I strongly advise that you get a confirmation from the suppliers regarding the authenticity of their products. Your goal should be to sell well know branded products and not counterfeit products. The more popular brands you have on your online store the better. Get your paper work done before you start: You will need to acquire a license for your online business. Any reputable wholesaler will require that you fill out proper signup forms with complete information about your business name and tax id. The reason being that real suppliers will not sell directly to the public. In order to be able to gain access to the wholesale prices, you will need to have a real company entity in place. Start with great perfume testers: Testers are experiment bottles that you can order which you can test. They can be bought at reasonable discount prices from wholesale suppliers. By sampling various testers you can write your true testimonials on your website and build up confidence with your buyers. Feel free to also compare different fragrances from different sources and offer your honest opinion on each brand. Seek out testimonials and reviews: Nowadays you can find very valuable reviews and testimonials on sites like YouTube. Many people will actually take the time to order products from dropshippers and post reviews about the quality of their products. This can help you tremendously in avoiding problems with suppliers that ship low quality products. Pick only the best and your customers will buy over and over again from you. Lastly, you can go for beautiful bottles of perfumes. The attractiveness of a bottle can entice more customers to buy from you. Also look for nice and attractive packaging. If you view this as an artistic venture then you can never go wrong. 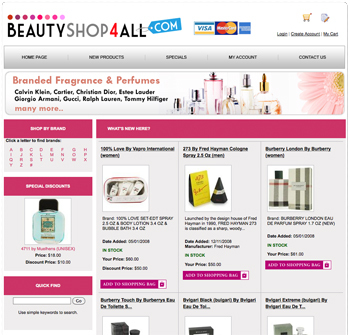 To get your own fragrance website, please visit wholesale2b.com. 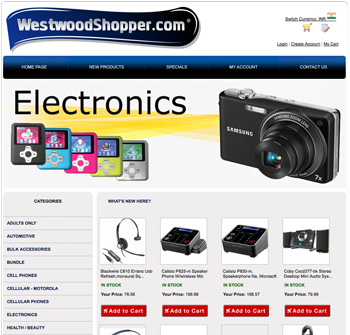 We offer a turnkey e-commerce website solution that is fully integrated with the best fragrance dropshippers.